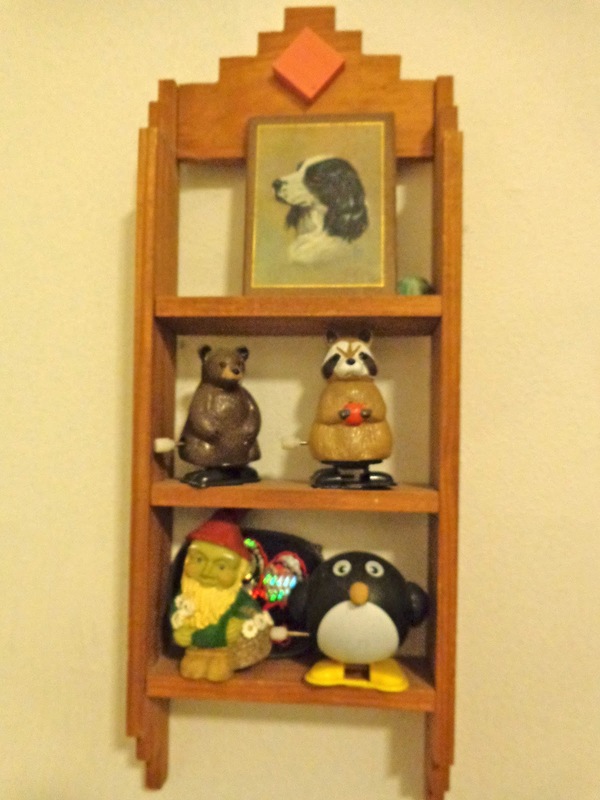 I haven't written much about my new apartment yet, but one of the things I love about it is that there's lots to look at. Interesting, pleasant things to look at. Both of my roommates have studied art, so lots of their works or friends' works are up on the walls. There are also random decorations and posters in every room. I've lived here for nearly two months already, and I'll still have days where I "discover" new pieces of art in the apartment that I hadn't noticed before. It's awesome. See what I mean? In the future I'll have to do separate posts for each room of this place to show off the all there is to see. 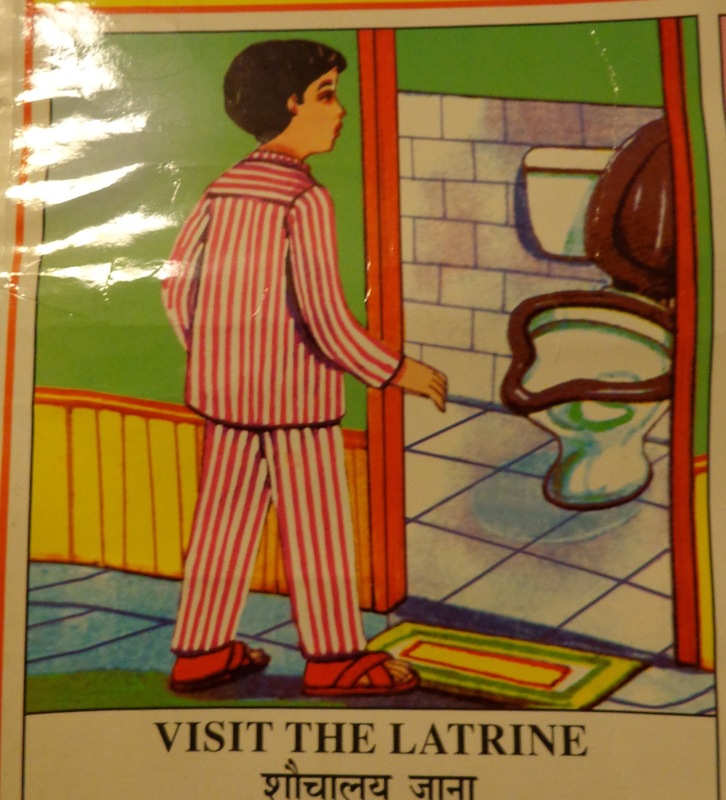 One of my favorite things in the apartment is this poster in our bathroom. It's called "Individual Cleanliness". The poster features nine elements of individual cleanliness, each accompanied by a drawing. I definitely wasn't expecting some of the nine rules that appear on the poster, and others have the greatest wording in their captions. The first day that I saw this poster in my new apartment, I knew that I must somehow turn it into a contest. See what I mean about great wording? It's not "go to the bathroom," no, no, no. Rather, we're "visiting the latrine". Since no one would ever guess the correct captions for all of these drawings, you'll have to identify the gist of each rule instead. For this first square I would have accepted answers like "go to the bathroom, " or "use the restroom," for example. 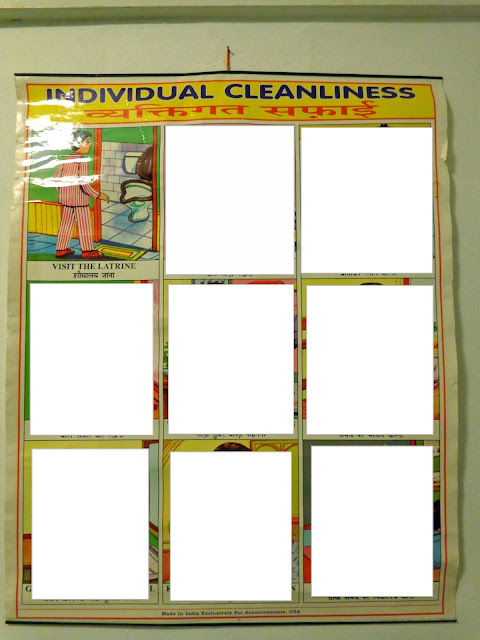 To enter the contest, comment with a list of eight other "individual cleanliness" topics or rules that you think appear on this poster. Make sense? This contest will be open through next Friday, December 14. The person with the most correct answers will receive a letter from me, written on that neat stationery I picked up at a thrift store on that Saturday of Thanksgiving weekend. Speaking of thrift shops, have you all been listening to this song non-stop since Thursday? Rules: Correctly identify the individual cleanliness rules that appear on the poster in my bathroom (pictured above). Correct wording is not necessary, because that would be nearly impossible. Brush your teeth. Wash your hands. Shampoo your hair. Sneeze into tissues/blow nose. ____ your ____. That's all I can think of. Maybe I'll have to give bonus points if people have exact wording... holy crap Justino who do you have spying on me? Does order matter? Ie: if I get 6 steps right but 3 are out of place, what's my score? Order does not matter at all! The poster isn't necessarily in any sort of order either, so they're not "steps". You moderate all comments? That's so 2004, get with the times Reca! Wash your face, Wash your ears, brush your teeth, Floss,french bath or shower(trying to be delicate about washing private areas), Dry your self, hang up towel, brush your hair - okay, that's all I got. PS. I think the moderation of comments was a favor to a Luddite friend who wants to comment on her posts.